Do you hate retyping the same email to each of your clients, only to change their names and log in details each time? 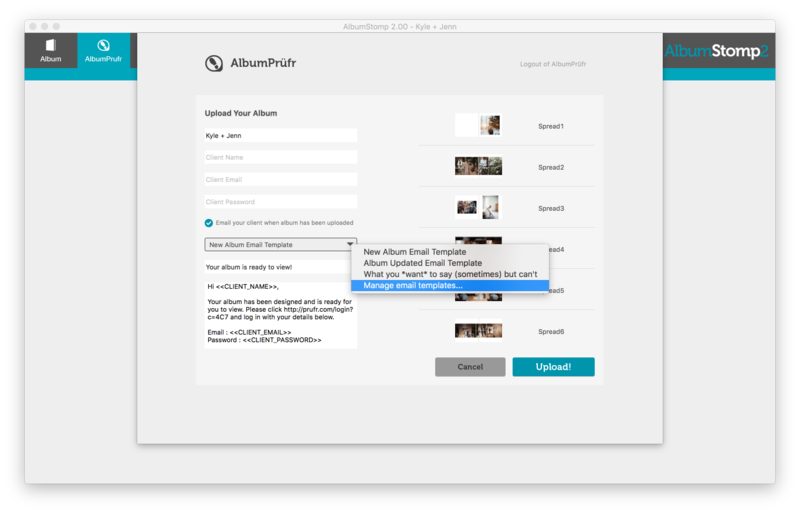 With email templates in the AlbumStomp, you can create a template and reuse it every time! We’ve set up a couple already, but feel free to change and adapt them to your personal taste. 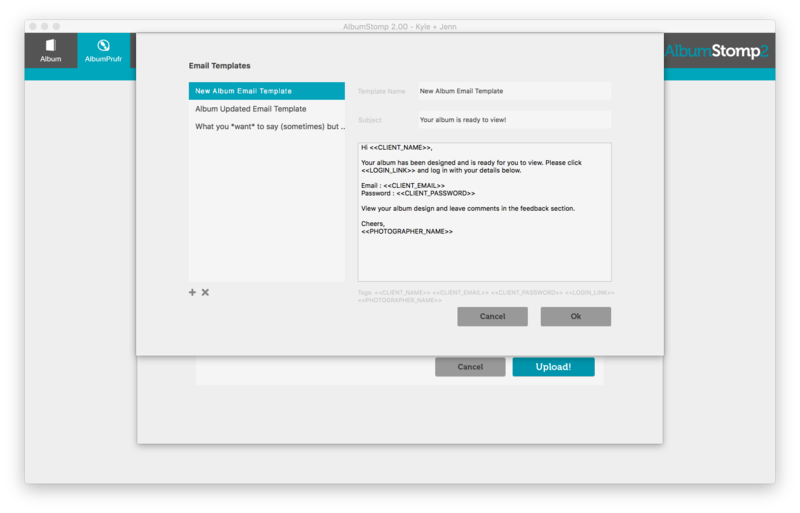 You can alter your templates easily in the “Manage Email Templates…” section. To locate this module, go to “AlbumPrufr” and click on the “New Album Email Template” drop-down menu. Click on the “Album Updated Email Template” drop down menu and go to “Manage Email Templates…”. Here you can change whatever you’d like. You can alter the template name, subject, and the content of the email itself. To create a new template click the plus button. To delete the selected template click the cross button. We even made a template you might occasionally *wish* you could send to your clients, but it’s probably best not to… (We feel your pain, but we’ve locked it so you won’t be able to actually send this one out…) ?